The Stem Cell Transplant Side Effects that One Should Know! The side effects are part of any treatment. The experience is very unique. There are some people will have fewer side effects and there are others who will have more side effects. They can occur anytime. It may be occur, but days and months after the stem cell transplant. The acute side effects will be caused before the passage of the hundredth day of the stem cell transplant. The chronic stem cell transplant will develop after three months from the day of transplantation. The side effects will be permanent in certain cases. Some of them can be treated while others can never be. 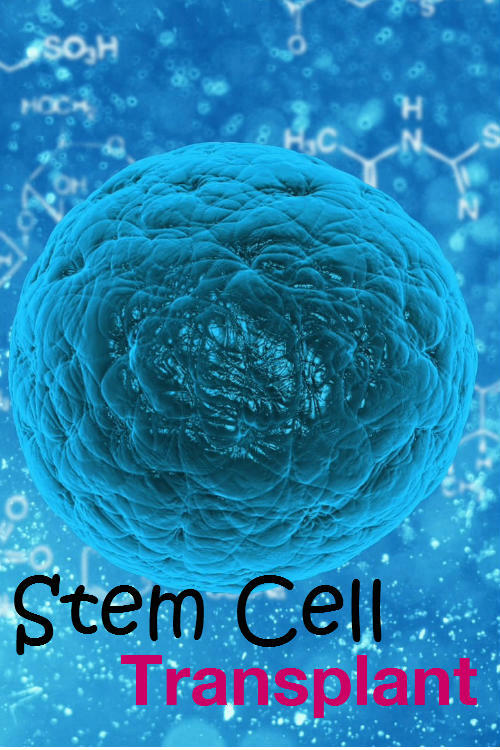 Read: What is a stem cell? The side effects of the stem cell transplant will rely on the factors like the kind of chemotherapy, type of the transplant, health of the person and the occurrence of the radiation therapy. It will be impossible to describe the side effects the child will have. They will generally have less number of the side effects when compared to the adults. As the stem cell transplant will be a complex method, the side effects will be very grave. So the doctors will have an eye on the patients receiving the stem cell transplant for any possible problem. The side effects must never be taken as the symptoms of another problem. They must be treated carefully with caution. Let’s see the stem cell transplant effects, which are given below. This is the common side effect that is caused by the stem cell transplant. This serious problem occurs because the count of the white blood cells will become very low. Therefore the immunity will also become very low. The risk is high in people who undergo the allogenic transplants. This is because the immunity will be dominated to inhibit the graft versus host disease. Once the bone marrow starts to increase the count of the red blood cells, the infection will vanish considerably. For this to be effective it will take up to three weeks. The immunity of the body will be recovered only after a year. The people must take care of themselves until the white blood cells increase to fight the infections. This is the other common type of the side effects that are caused by the stem cell transplant. This gets resulted when the count of the platelets decrease due to the extreme therapies that will prevent the clotting of blood. There are chances for the hemorrhages to occur. Anemia will also result due to the decreased count of the red blood cells. The regular blood tests will be done to monitor the types of the cells in the blood. The platelet transfusions will be also done till the stem cells transplants begin to work. This is generally done till the month post the transplant. The conditioning therapies will result in anemia due to the reduced count of the red blood cells. The hemoglobin in the blood will also be decreased. This will result in weakening of the body, malaise and pale skin. The medicines like the epoetin alfa and darbepetin will be provided to the people to increase the count of the red blood cells. The transfusions of the red blood cells will also be required if the count of the cells of the blood is very less. The stem cells of the donors are called as the graft. The host is the recipient. This acute problem occurs when the transplanted stem cells of the donor do not accept the cells of the recipient. They will begin to attack them. This problem will only be effected very lately. The other problems that occur late are also attributed to this disease. Prior to the transplant, the T cells of the donor will have been removed. T cells are the white blood cells that will regulate the response of the immunity to damage the abnormal cells. This will help to decrease the problem of GVHD. The immune-suppressing drugs will be also helpful to decrease the GVHD. When the small blood vessels that run to the liver are blocked, this disease will occur. It is very common only after an allogenic transplant. This will even cause damage to the liver. This will be developed after the few weeks of the transplantation of the stem cells. Prociclide is the medicine that is used to cure the problem of VOD. This medicine will be only available after the medical trials, privileged use and humanitarian purpose. The VOD can be also regulated by decreasing the intake of salts by regulating the intake of the liquids. Some problems will occur in the digestive system after the stem cell transplant. The drugs that are being used in the extreme therapy are said to be the main reason for the formation of this problem. The tissues of the oral cavity, abdomen and the intestines will be affected. The problems in the digestive will result due to the infections or the GVHD. The problems that affect the digestive system are diarrhea, reduction of weight, nausea, swellings in the stomach and pores in the mouth. These problems can be treated in many ways. The use of the special mouthwash and pain killing medicines will help to treat the sores in the mouth. The medicines will also be prescribed to treat the problems. The doctors will urge the importance of the oral health to the patients. The people affected by the problems in the digestive system must try to eat the meals in small amounts. The doctors will also recommend the intake of the natural supplements if the people develop any problems in eating. Also a special liquid will be provided through the catheter to ensure that the body obtains sufficient nutrition. This is for the people who are affected by the binge eating disorder. The problems of the skin will result due to the extensive therapies. The side effects will become inevitable if the drugs like the Complete Body Irradiation, busulfan and busulfex are employed. The bacteria on the skin will be removed by the use of regular showers. This will reduce the chances of skin problems. The loss of hair will temporarily affect the people. This will be seen only after the stem cell transplants. The permanent effects of the hair loss will be very rare. Within six months the loss of hair will be compensated. If the tissues and the nerves are swelled, then the pain will result. They will be also caused by the sores in the mouth and skin, the formation of rashes on the body, problems in the intestines, infections, use of certain medicines and extensive therapies. Usually, some medicines are used to ease the problems of pain. The other methods like the relaxation and imagination will help to ease the pain. This gets developed due to the infections and all the types of the therapies. If a person intakes heavy amounts of the liquid after the stem cell transplant, then the lung problems will manifest. This results in the Pulmonary edema which is characterized by the accumulation of liquid in the lungs. It also causes difficulty in breathing. If the bacteria affect the lungs then the problem of pneumonia will occur. Often it will be due to fungal and viral attacks. This will occur within the first hundred days of the stem cell transplant. There is another problem called as the restrictive lung disease. The lungs will never be able to expand fully and this will affect the rate of breathing. The obstructive disease of the lungs will result in the difficulty of the lungs to clear the air from the lungs. This can become a very serious problem. The renal problems are caused when any damage is done to the kidney. The therapies will affect the kidneys. This can be also caused by the antibiotic drugs. The drug known by the name of Neoral that suppresses the immunity will be also the reason for the renal problems. At times the problems can aggravate to the point of resulting in kidney failures. The quantity of the liquid that is let out is also monitored to find the rate of the function of the kidneys. The treatments will be designed in such a way so as to reduce the damage that has been done to the kidneys. These problems are rare but the fact is that they occur. The drugs that are used in chemotherapy like the cytoxan will result in the problems of the heart as it will be made to function less effectively. The tissues around the heart will be also inflamed. The doctors will perform a MUGA scan to check the working rate of the heart muscles. This scan will be done prior to the increased therapy. The drugs that do not cause any problem to the heart are only used at the time of the conditioning. There are some cases in which the people develop the eye problems. The cataracts are the common eye problems. They will block the lens of the eye and will result in loss of vision. The people who have received the TBI will be subjected to the problems in the eye. The steroids and the drugs used in chemotherapy will also cause the eye problems. These problems will surface only after a year. The recipients of the stem cell transplants are recommended to undergo frequent eye check-ups. So these are some of the problems that will occur as a side effect of the stem cell transplants. There are also many problems more than this. Therefore the people must adhere to the treatments that are given to them.